HEH should boycott upcoming cattle event, to really drive their point home. Tex. You know you only bought a six pack of Pepsi. It's close to being gone. Your fingers are starting to itch.... Come back to us my friend. Tron needs some advice with the A/C. Mes and Bart are lonly without you. DQ and Little Dq are wondering where you are. We need our manager back. Frag , I never mentioned you in my post, but you somehow deduced it was you I was referring to. 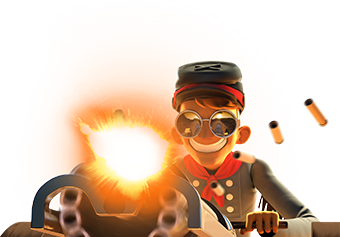 As you have said countless times, there are many, many players how are unhappy with this event. Your vanity assumed I was talking about you. Kind of childish, don't you think? You are the dummy that started at Frag first. Here was your first posting to this thread. Frag, do everyone a favor and hit that delete button and don't look back. 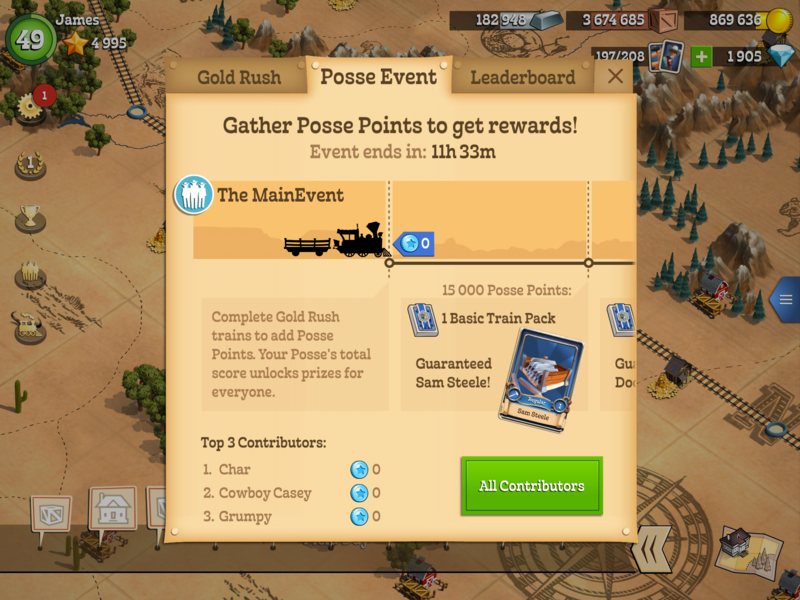 You were all to willing to praise the developers for changing the posse jumping aspect, mostly because you didn't like it. Now you are jumping all over them for (gasp) making another change in the game, only this time, you don't like this one. CPW has always mixed things up by changing card values, strengths, costs, etc., so this one should come as no surprise as well. Either put your big boy pants on and learn how to score within the parameters of the game as it is now or move on. It's a game, get over it. You Personally called out Frag for his opinions. Now you sit here and mention childish. Wow... Look in the mirror my friend. By the way. What posse are you in Hashbrown? Maybe that will be the next boycott. No one joins your posse since you already seem to know it all. Then you and your mates can decide if any a boycott works. Like I said know your place hash brown..kid. Frag is kicka$$ person, an elite player. A man of his word! The fact 420R isn't even on the leaderboard proves our boycott. I'm too lazy to go take a screenshot lol. Feels kinda weird. We've been in top 5 most of the time. And always on top 10 at the very least. Yes you are the childish one. You came to this thread to call people out. Why is it "not fair" for others to have their opinions about the changes but yet it is "fair" for you to come in here and have your opinions about them complaining. If you think about it. You are doing the same thing. 1. They are complaining to cpw about the changes. 2. You are complaining about them complaining. You still won't answer the question. What posse are you in? Would you like a special invite to my posse. We would welcome you. I believe in my heart your mom raised you better and I know you are a good guy. Come on buddy. Give it a try!!! Free pizza and Pepsi on Wednesdays so hurry up. Ha! He can have my spot if CPW don't make things right I doubt he has the stones to let us know who he is in the game. Also, I suspect his mom ain't done raising him yet. I'd guess 14 yrs old. Tops. I do miss pizza night. Ummm pizza. No cooking tonight now. Delivery it is! Wow, this has certainly took an interesting turn. Funny how you guys won't answer my question about what happens the next time the gold rush rolls around. Another boycott? I hope so. And no, I won't divulge my posse name. No sense potentially hurting my mates because of my opinions. Don't worry Hashbrown. We will find you. You can run but you can't hide. That's what happens when you come pick on someone specifically Hashbrown. Of course you won't disclose your posse. A coward hiding behind a screen. No one would prosecute you for sharing your opinion. But attack someone directly it's a different story. People complain. You can say "people stop complaining or delete the game" but to come call me out saying this and that about me when everyone who knows me knows I'm a stand up guy... Well you brought this on yourself. If you're ready to call a truce Hashbrown I am as well. So you messed up and acted like a jerk for calling me out. We all make mistakes. Let's move on and all be happy. The issue was never really the gf event even if I don't like it. It's boring. Redundant. It was them doing it twice in a row contrary to what they announced. Plus them damn doc cards yuck! Hash Brown, is that kid pictured in your avatar really you? mmmm I just love pizza! I'll bring the dancers, food and entertainment. Must be 21 to enter. LOL. Sounds fun Frag! Wait hold up. Pizza and pepsi Wednesday is tomorrow. James, you can have some my friend. Jane- are you going to dance with the dancers or just bring them. Hashbrown- are you in? Let me know what posse to send the invite too. I have asked cpw to attach 10 diamonds to each invite. Jane- you got the entertainment right? Tex- you coming. Bring Bart. James you can have half my slice anytime my friend! So you ask for a truce after you call me a jerk and a coward? That's nice, in a backhanded kind of way. Keep posting frag, I'm not going anywhere. Lol. I tried to make things right. And now your response shows you really are jerk. Out of all the posts here you are the only one who directed your opinion towards a person. The only one. You acted like a jerk. And it's the truth. I'll be honest with you. I have enjoyed this little debate with you over a forum post. You entertain me. You give me good laughs.